Today marks the 10th anniversary of the release of Discovery (Disco Very?) from Daft Punk. Now, this wasn't their earliest release and there are many that would explain that they were fans way before this album. But, we can all agree that it is THE album that really brought them into the mainstream with the general populace and for good reasons. The album is a masterpiece in ALL respect. 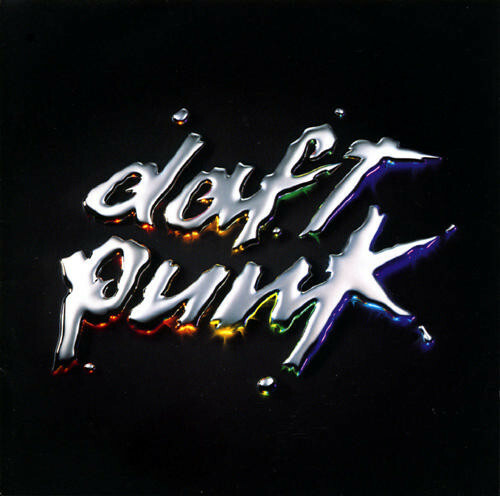 Daft Punk started so many trends with this album that are unique to them. I remember first hearing "One More Time" and trying to figure out why I loved such a repetitive song then remembering how it just blew up even more when they started releasing the music videos for the singles. If you aren't aware; the music videos for this album were actually from a full-length anime movie that uses the whole soundtrack and the movie itself has no spoken words. Now, I'm gonna stop bullshittin' because whatever I say will not give justice to the album. You know and I know that its a masterpiece album and that's all that really needs to be said. And the only question that needs to be asked is: What was the best track from the album? I guess the obvious answer is" Harder, Better, Faster, Stronger" but what do you think? If I were asked what the best song off this album was , I'd refuse to answer. Just because so many songs address so many different feelings/moods. To choose one song over another from this album would be like choosing to be happy or sad for the rest of you're life, you need both and there is a time and place for both. The first time I heard "one more time" on the radio I fell in love with their sound. And when I was in gr.5 scrounging for change to buy this album , little did I know that it would change my taste in music forever. Brings me back to my childhood every time. That comment almost made me shed a tear. whenever i listen to discovery i think of traveling. it was the only cd i had in my walkmen when i took a train all across europe. 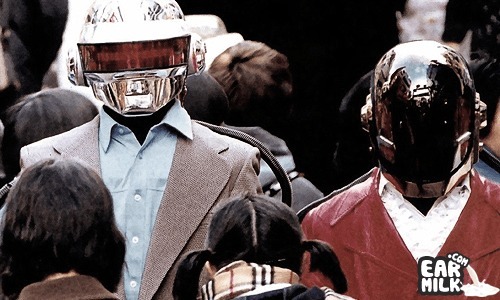 although that album shaped daft punk into what they are today, homework will always be number 1. that album made house music into what it is today. I have a particular affinity with "Something About Us" as those lazy synths and laid back beat has calmed me down many a times. "Aerodynamic" on the other hand has this searing guitar solo which I remember being amazed at and rewinding back countless times. The track definitely elevated Daft Punk to a new level of awesomeness for me. Lastly, "Voyager" has this meaty bass in it which is like melted chocolate to my ears. Especially mixed with that dreamy synth makes for a very nice atmospheric feel.